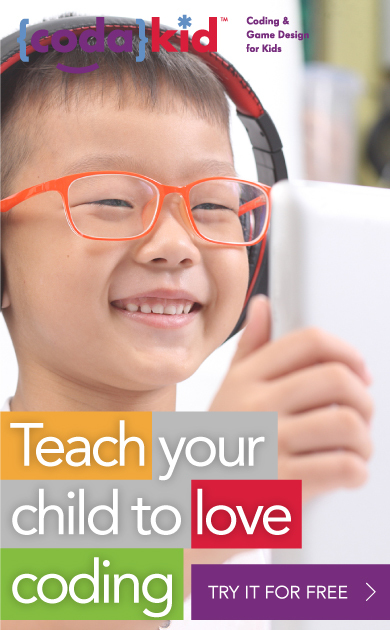 Share the post "Engineering for Kids: The Ultimate Guide for Parents in 2019"
From the development and incorporation of makerspaces in the classroom to the recent release of programs such as as Scratch 3.0, engineering for kids is spreading like wildfire in today’s educational world. Right now, according to the Bureau of Labor, the median pay for an engineer can range from $50,000 to $150,000 a year in today’s corporate world. Although more schools are teaching students STEM skills, many parents are seeking outside resources as it is becoming apparent that the rigor of school programs is not meeting the needs of today’s students. Teaching students how to work alongside others. While it is wonderful that more and more schools are implementing makerspace areas and coding classes, most of these schools only teach engineering from a very basic standpoint. For those students who want to further their knowledge in engineering, many parents have to look for outside resources. That is why we created this guide on Engineering For Kids here at CodaKid. We wanted to provide parents and teachers an affordable way for students to learn real computer programming and other engineering skills with professional languages and tools. We also wanted to provide these students with the support that they need in order to better understand what it is really like being a skilled, professional engineer. Therefore, by teaching students engineering the right way, parents and educators can help students make the most out of their engineering learning experience. For the time being, let me introduce you to some of the most common questions that we encounter from parents about what it means to help your child succeed as an engineer. This way, we can provide you with some advice on academic approach, curriculum selection, and other resources for your child. What exactly is engineering for kids? When is it appropriate for my child to learn more about engineering? Why should my child learn about engineering? Why isn’t K-12th grade school enough? What tools should my child learn to use to become a successful engineer? Follow these four important tips before your child starts studying engineering! Top free and paid engineering games, apps, websites, classes, curriculum, and more to get you started! Help! My kid doesn’t want to become and engineer! What should I do? 1. What exactly is engineering for kids? When is it appropriate for my child to learn more about engineering? Executing that solution in action. As long as your child has the skills and motor capacity needed to become an engineer, it does not matter how old your child is. Anyone can learn how to become an engineer! As such, kids can learn how to become an engineer just by building whatever it is that they desire inside of their own homes! Take Violet the inventor from A Series of Unfortunate Events for instance. She learned how to invent things just by observing and testing the objects in her surrounding environment. 2. Why should my child learn about engineering? Why isn’t K-12th grade school enough? Teaching your kid(s) engineering skills at a young age will not only help them understand how to code better, but teaching your child engineering skills will also help them become more versatile, which in turn will help them be a better fit for the job market in the long run. Most K-12 schools teach their kids engineering skills using basic programs like Scratch, Code.org, or Tynker. 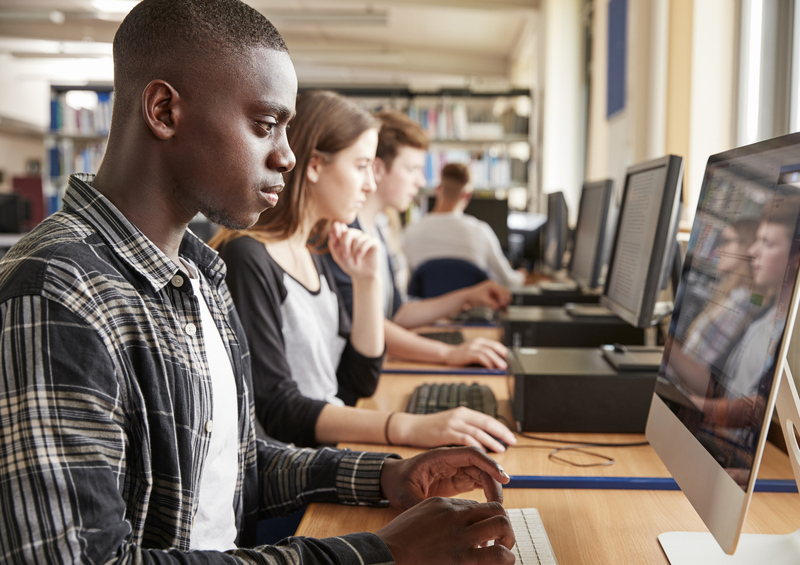 However, as fun and innovative as these programs are, they typically do not properly prepare students with the proper languages that will help them become the developers, leaders, and content creators of tomorrow. Scratch is a good, free way for kids to learn coding concepts via visual block languages. However, as fun as this program is to use, it doesn’t teach students how to build their own tools from scratch. Code.org has some decent exercises that introduce Scratch-like visual block languages. It even has some basic text coding in its later modules. However, as wonderful as this site may be, it too has its limits. Tynker also helps your kid learn how to code. However, it can only teach students basic syntax and logic order such as programming a car to move from one side of the street to another using pre-made “if-else” statements. In order for students to advance their careers in software engineering, they need to use real text-based languages. This way, they can create their own games, apps, and web pages however they want to. We will dive a bit more into this with some examples later on in this post. 3. What tools should my child learn to use to become a successful engineer? Other than being able to code using programming languages such as Java and HTML, students should also learn how to use organizational tools. Examples include Trello, which is basically a virtual bulletin board that students can create, drag, and drop “virtual Post-It notes,” and Evernote, which is a free virtual planner. These tools will help to better craft their games, websites, or apps. Becoming a software engineer requires a lot of collaboration from others. Therefore, in addition to coding and organization, students should also learn how to communicate with others. Here at CodaKid, we focus mainly on helping kids build good programming skills — like being able to create a Minecraft game level using Java while communicating with a mentor if need be. Although our courses can’t turn your son or daughter into an engineering superstar overnight, they can teach them how to write and organize code in a way that makes sense and thus can be used again and again. To help you better understand, let’s say, for example, that your son or daughter wants to build the tallest, fastest roller coaster in Roblox Studio using Lua coding language. It’s one thing for your child to be able to code that roller coaster in a way that works. However, if your child cannot read and understand their own code, then chances are, neither would anybody else. As such, this would prevent your child (and anyone else looking at the code) from going back and making any additional corrections to it. This in return makes the code worthless in the long run, as well as your child’s newfound coding skills. Now here’s an example of an old Magic-8-Ball program that a previous computer science student made using workable Python2 code. 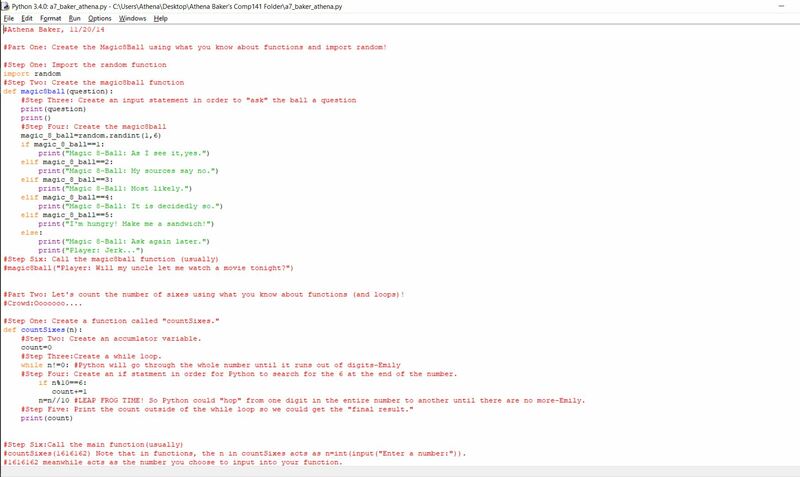 To make her code even more organized, she spaced out her functions into two separate “paragraphs.” This way, if she or anyone who is using her code wants to improve on her design, she or anyone else can do so. Not bad for someone who hasn’t touched her program in five years, huh? 4. Follow these four important tips before your child starts studying engineering! Now before you jump to the next section, it is important that you take into consideration these 4 tips before investing in your child’s future. This way, you will have a better idea as to why I chose these resources in the next section. Tip #1: Make engineering fun. Pretty obvious, right? After all, if you want your child to make the most out of their learning experience, you have to make learning engineering fun. Otherwise, they won’t be as likely to understand the point of having to learn to engineer. Sure, you can have your child sit in a classroom and have him or her solve a bunch of problems for hours on end. However, if they don’t have a solid foundation as to why solving these problems is important, then your child may not understand what the point of solving engineering problems is. Not to mention that children are as rambunctious and energetic as the games, sites, and apps that they create! No matter how quiet or shy they may appear sometimes, they too need an outlet for their creativity. At CodaKid, we prefer to teach coding by building video games and apps. This way, students can learn basic programming and engineering skills in a fun and interactive way. Of course, if some students prefer to learn about STEM subjects by writing a story or drawing a picture, they can do so as well! Some students will want to create the world’s greatest fashion blog. Others might want to create their own rendition of Pokemon GO. Everyone is different! Tip #2: Find local or online classes. To be fair, since engineering is a lifelong love of learning unto itself, you will probably end up having to find more than one tutor in order to help your child understand what engineering is all about (depending on what exactly is it that your child is struggling in). While one-on-one tutoring with an engineering tutor is an excellent way to learn, it can be very expensive. Plus, each tutor specializes in a certain field related to engineering — either directly or indirectly. So if you’re ever in the market for an “engineering tutor,” please keep that in mind. You may also consider searching for group classes as well as online courses that provide live support with real engineers. The best academies and online courses will have well-crafted lesson plans that build sequentially on concepts like logic, physics, public speaking, and more. Speaking of public speaking, if you really want to help your child advance his or her career as a software engineer, never underestimate the power of speech classes and acting classes! Not only are these places great for helping kids build the confidence needed to speak with other people, but they are also wonderful opportunities to collaborate with others in order to solve problems. Tip #3: Find a mentor. Many developers and engineers enjoy teaching during their spare time. As such, you might be surprised at how many might be willing to mentor your son or daughter. Interaction with an experienced developer can be as invaluable as taking your whole family out on an all-expenses-paid trip to Hawaii. Most of the time, these developers can teach over Skype or other free video conferencing and screen-sharing solutions. So if you’re in the market for a quality tutor, I would first suggest going to either makerspace clubs and computer science clubs in your area. Tip # 4: Understand the different types of engineers that exist out there. While there are many types of engineers out there, one of the most in-demand engineer types to date is computer engineers (otherwise referred to as software engineers). In addition to being able to code, software engineers need to be able to understand the world of business and, (to an extent, human language. By learning about the different types of engineers that exist out there, you and your child would have a better understanding as to what the field is exactly like. Because technology is constantly changing and evolving, there’s no way that we could list all of these engineers in such a short amount of time. Hopefully this introduction will give you and your child an idea as to why learning engineering skills are important. 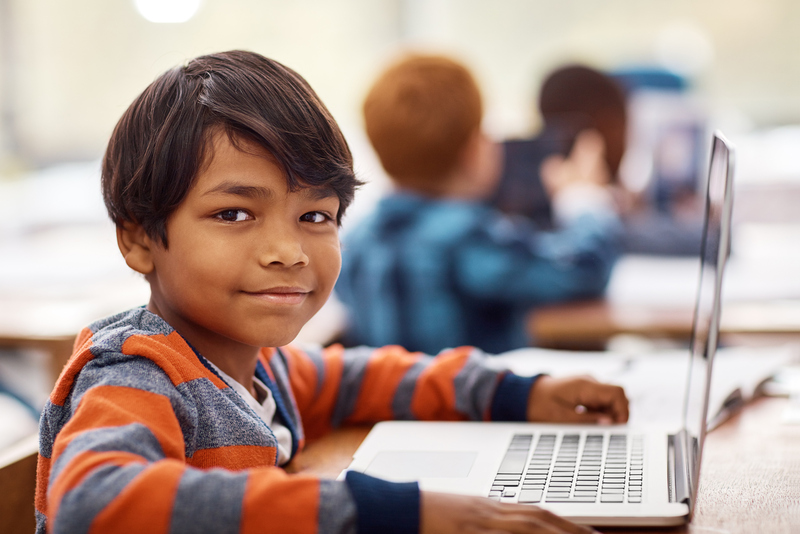 Now that you have taken note of the 4 tips before getting your kid started with engineering, let’s dive into some free & paid coding platforms available to get you started! 5. Top free and paid engineering games, apps, websites, classes, curriculum, and more to get you started! Obviously, if I were to try and list out all the different types of games, apps, websites, and everything else that you would want to check out, you would get pretty overwhelmed. So for now, I am going to do my best to list out the most helpful ones to get you started. First things first, let’s focus on the material for students between the ages of 5-7. Engineering For Kids is a nationally-based educational program geared to teaching kids about the fundamental building blocks of engineering. In addition to offering classes and after-school programs, they also offer a variety of workshops, camps, and homeschooling programs related to STEM subjects. At this time, they also have locations in Canada. 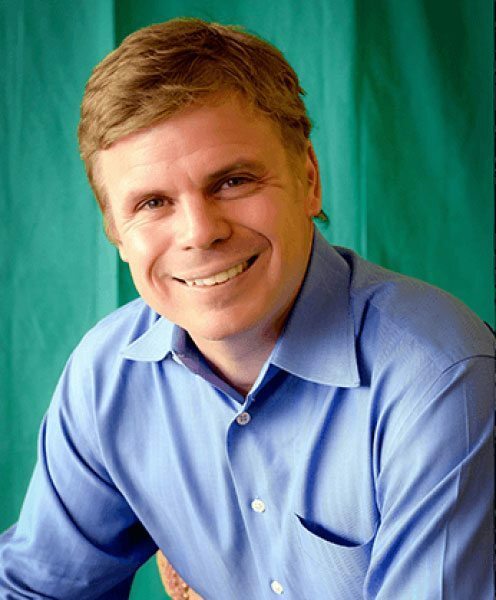 Alice.org is a Scratch-like program created by former computer science professor, Randy Paunch at Carnegie Mellon University. It allows children to create their own 3D animations and video games. To do so, it utilizes block-based programming and (to an extent) Java programming. Although the program is specifically targeted towards middle school students, it can also be used by younger students. 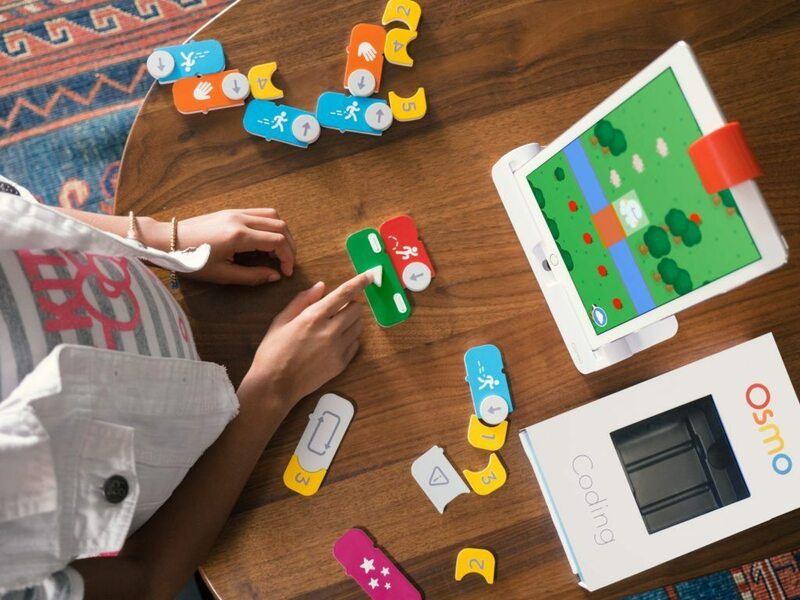 We highlighted this toy in our Coding for Kids Guide a while back, but for those of you who don’t know what it is, the Osmo Kit is a combination of Legos, gaming, and coding. It uses magnetic blocks that allow the user’s character to navigate puzzles and other challenges in an iPad game. It is a nice “on-the-go” sort of toy for children ages 5-7. Not to mention that the building blocks are great for kids who want to beyond what the templates say! We highlighted this toy in our 17 Best STEM Toys 2019 article a while back. 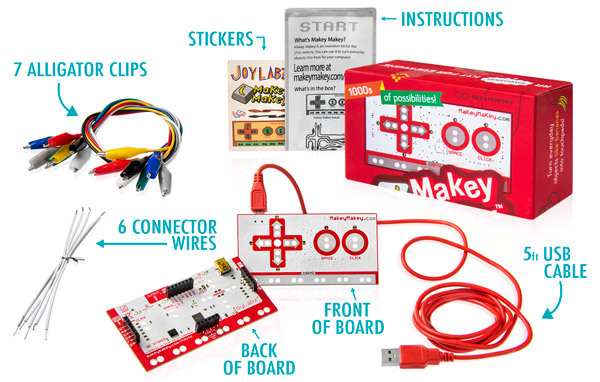 But in a nutshell, the Makey Makey set is an on-the-go coding set developed by two students at MIT Media Lab. This set allows students to “design their own controllers” by attaching a set of interconnected wires and their computer to everyday, non-digital objects. Children will not only learn how to control their favorite Scratch characters beyond simple coding building blocks, they can also learn more about the world of makerspaces in general. Engineer Girl is a site developed to help girls learn more about engineering. It also helps girls understand what a typical day in the life of a particular engineer is like according to the National Academy of Engineering. Every year, the site hosts a plethora of contests and challenges. 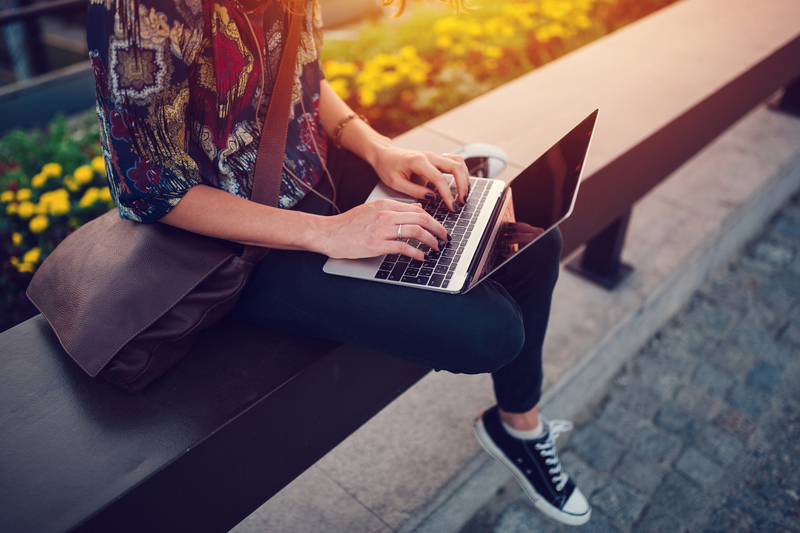 Out of all of them, the most famous happens to be the EngineerGirl essay competition. Boys can also use this site to learn more about engineering. CodaKid isn’t an everyday average kids engineering website. Other than winning a Parent’s Choice Award in 2017 and being named CODiE Finalist for Best Coding and Computational Thinking Solution, what makes CodaKid unique is that it teaches your child the coding languages necessary to build websites, games, apps, and more! We also include unlimited access to a team of friendly mentors that will help your child solve problems either via instant chatting or share screening. Plus, your kids get to keep their projects forever! 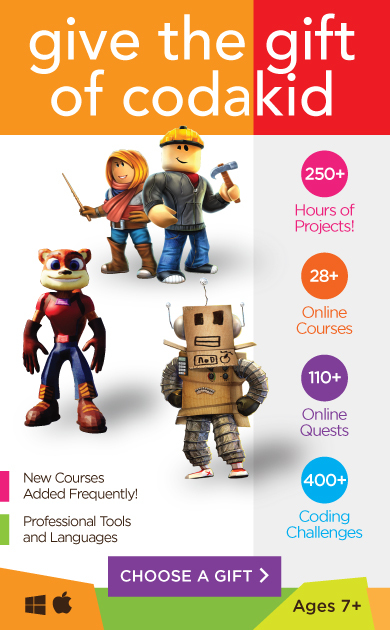 At only $25 per month for over 450 hours of student projects, it is an excellent value! Click here to start your free 14-day trial! 6. My kid doesn’t want to become an engineer! What should I do? It’s no secret that most kids won’t become engineers when they are older. But the skills that they can learn in engineering courses can help them in nearly every profession down the road. We recommend encouraging them to stick with engineering, and hopefully you can accomplish this by getting them involved in projects that they enjoy such as video game design or robotics. In today’s world, nearly every business is becoming a technology company, as computing takes center stage in most business functions. Engineering skills will pay dividends no matter what direction they choose! Engineering for kids is more than just clanking away on a keyboard or cobbling together a bunch of circuits. It’s an exercise in learning and understanding the world around you! There are many approaches to helping students K-12 learn about engineering — and there are certainly no “one-size-fits-all” solutions. The most important piece of advice we can offer is to make engineering fun. Yes, it demands a lot of work and attention to detail. However, if kids know that the payout is a fun game or project, they will put in the hard work and experience success! Want to revisit a section of the article? Click a link below to quickly jump to that section! Tell us, fellow readers: what did you learn about engineering that you haven’t thought of before? Do you have any other tips or advice for parents looking to teach their kids about engineering? Please leave comments or questions in the comments section below!